Pleasant & well maintained unit in Manor house. Located minutes to shopping, transportation, hospital & all downtown amenities. 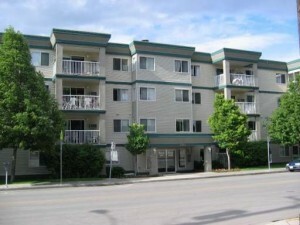 Spacious & open 2 bedroom unit with 2 full 4 piece bathrooms. Sliding glass door to covered conservatory. Some recent updates done. Level entry. Secure underground parking with 1 stall (#32). Large laundry room with extra storage. 55+ complex. No pets or rentals. All appliances included.